hd00:18Reflections of the city lights on the sea surface at night. 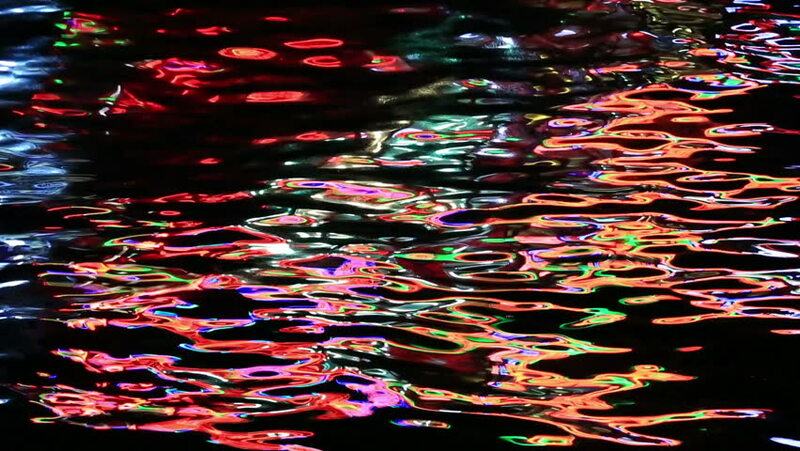 Red, green and yellow ripples on the water. Real footage. 4k00:21Macro shot of moving abstract surface of colorful bubble.